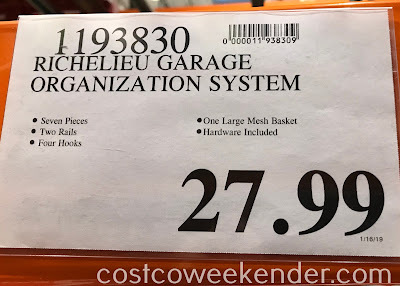 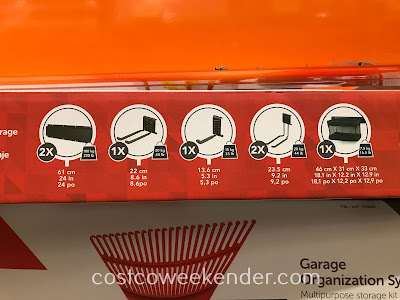 Putting away tools after use can be tedious unless you have the Richelieu Garage Organization System from Costco. 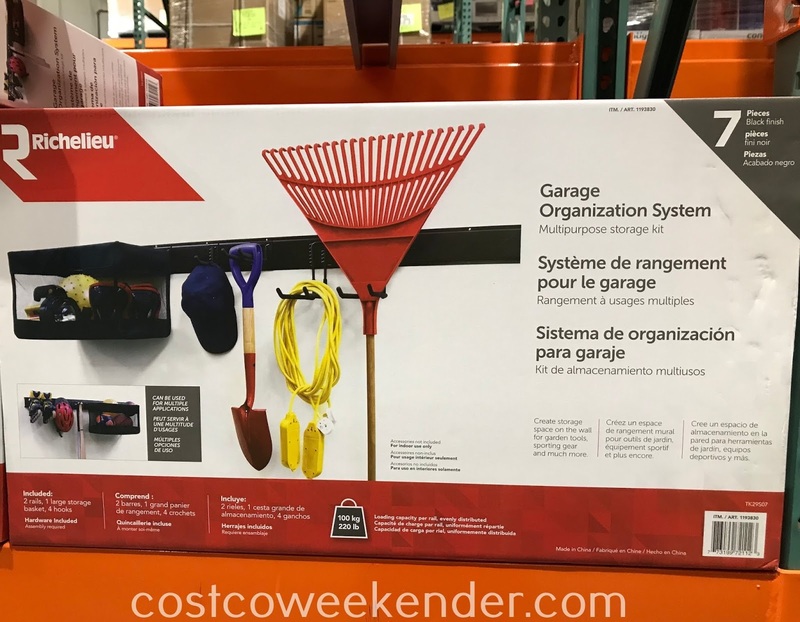 The Richelieu Garage Organization System allows you to easily put away and retrieve tools like shovels, brooms, rakes, etc. It utilizes space on the wall, so that your tools don't take up any additional space anywhere else. Not only can you use the Richelieu Garage Organization System on garden tools, but you can use it to put away sporting equipment all of which can be bulky and can take up a lot of space in a closet, storage shed, or garage. The Richelieu Garage Organization System is great for any home and you can put it in the garage or storage shed.